Located in the Rovaltain Business Park close to the Valence TGV station, the inter-company childcare centre welcomes children aged 10 weeks to 4 years in a bright, modern, environmentally friendly 400 m2 area. The building combines innovative clean technologies in terms of insulation and the choice of materials with a low environmental impact (solvent-free paint, natural flooring, wooden materials from eco-managed forests, etc.). Open long hours (7:30 a.m. to 6:30 p.m.), this comfortable area is for children whose parents work at Rovaltain. The centre offers three kinds of care: regular, occasional and emergency to reconcile family and professional life. The Romane et Valentain daycare centre is managed by Crèche Attitude who are certified by Ecolo Crib, the first sustainability label dedicated to early childhood and the art of living well, in good health and for a long time. A calm, friendly, multidisciplinary team looks after young children entrusted by employees of companies in the Park. 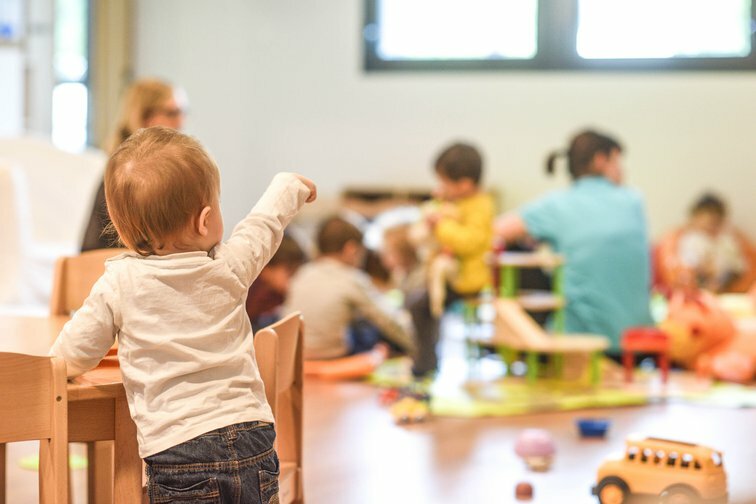 “We help children throughout their psychomotor, creative, social and intellectual development to lead them to be autonomous” explains Fabienne Vernizeau, Director of the Romane et Valentain daycare centre. Open to children from 10 weeks to 4 years from partner companies.